With just over 30 days until the release of the film, it had better be the final scoring session! Unlike previous Star Wars films which, were recorded all at once, there have been several recording sessions for The Force Awakens over the past several months. "El singular sable de luz de Kylo Ren es un diseño muy antiguo, aunque el suyo fue construido recientemente. Sus cuchillas en forma de cruz en la empuñadura son potencia sobrante derivada de la hoja principal". 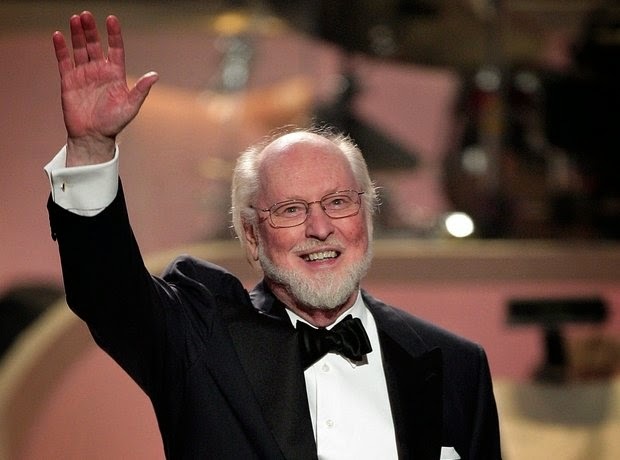 Jar Jar Binks may not be a secret Sith Lord, but John Williams IS Star Wars. As much or more than George Lucas. Thank God And The Maker. THANK THE MAKER, I am now wet with joy. This makes me incredibly excited. The part that excites me the most is hearing that main theme blaring over the theater speakers over the title "Episode VII THE FORCE AWAKENS".